Things that make you go "Hmmmm"
I think everyone LOVES these candles. They smell AWESOME and you have that suspense of finding a ring inside – a ring that could be worth $10, $100 or up to $5,000! Wouldn’t you love to have your own Diamond Candle? and I think that makes it a special Day for you! Wouldn’t that be so AWESOME!! Hop on over to find a great way to celebrate the end of Summer …. How about with a Sweet Summertime Giveaway Hop? There are quite a few bloggers involved in this Event – so I am sure you will find something that you would be interesting in. I promise, since there are about 40 bloggers involved you are sure to find something that will interest you. Until we are transferred over …. If you want to follow along with my daily posts, as well as my reviews and giveaways, you will need to check out my blogspot.com spot until I can get everything moved over. I know I had planned on getting this done a LONG LONG time ago but well “life” and unfortunately “deaths” got in the way. I’m trying to learn the “ins and outs” of WordPress and I hope to be getting this all done (learning and moving) before vacation this year. Have you seen these candles in action? I haven’t seen them “up close and personal” YET. 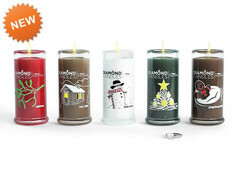 I just ordered a few to “try out” at DiamondCandles.com. If you haven’t already seen them, they are Soy Candles that have a “surprise inside” – sort of like those Cracker Jacks Boxes. Do you remember asking for those as a kid? Well now you can ask for Diamond Candles just like you did with those Cracker Jacks Boxes as a kid. They have been super popular. A few years ago, everyone gave those lottery scratch off tickets (or the pick a number ones) with the hope of giving someone a really big pay day. Now you can give these candles with the hope of giving an expensive ring along with a really awesome candle. Now who wouldn’t want to hear that their gift was even bigger than they originally thought? Could you just imagine giving, or receiving a candle that holds a $5,000 ring inside? Can you just hear the squeals of delight? They have some really interesting candle scents that you can use separately or combine to make some personal fragrances. How about Cinnamon Roll and White Chocolate? Or Vanilla Cream and Gingerbread Latte? I can’t wait for mine to arrive. And I love the story behind Diamond Candles that all began because David wanted to be creative when he gave Brenda an Engagement Ring. Don’t you just love “creative” people? As I said, they are super popular right now – they even sold out for a bit. But one of the great things is if something you want is “out of stock” you can request they advise you when it is back in stock. They will send you an email when it is available again. That’s what I did and as soon as I got my email, I jumped on over to their site and placed my order. Did I say, I can’t wait to see and smell these very interesting candles? Have you finished your Holiday Shopping? I still have things to get but this pretty well says it all for me …. Every year I think I’m going to be done by Thanksgiving and every year we roll into the middle of December and I’m still looking for things, waiting for things, hoping things arrive, or still debating what to get. 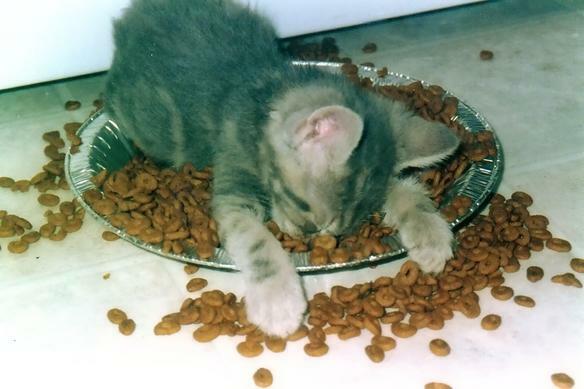 Some days I just feel like this by the time I get to sit down and have something to eat. And on top of all this …. I’m trying to set up my blog here on WordPress. Yes I really must be a glutton for punishment. I hope that this actually makes you more aware of what is going on around you. There is so much “bad press” out there that sometimes you need to be reminded that there IS good in the world, that kids really DO know what is important and not just the latest video game or CD or what some celebrity is doing at the moment. One of my Facebook friend posted this and when I saw it just knew I had to pass it on to you. It really is a perfect way for everyone to remember that special things still happen – you just have to keep looking for them. Thanks Bo and thank you Success Nation for posting this for all to see. Way to go Rochester New York! Today is a new beginning for Inspiration CAN be Found EVERYWHERE. I will be moving my current blog content to WordPress. At least I think I will be moving the content from there to here ….. Now I just have to figure out how to do it and get it done! If you have done it already …….. share your learning experience. Trust me I am ALL ears! Tupperware Mid November Brochure ending soon! Is it Better to Give than to Receive? Find Out with this Verizon Wireless Raffle.